Immigrant scientists play a vital role in the science and engineering workforce. In addition to contributing to their adopted countries, they have potential to use their talents to give back to their homelands. Giving back is not necessarily about giving dollars or relocating – there are a variety of routes to follow. In a recent article in Devex, I shared the lessons I have learnt from my experience in India. Here, I provide an expanded version, incorporating the feedback (mostly positive!) I received on the Devex version. I left India in 2000 to do my PhD at UC Berkeley, after having completed my medical training in India. After a postdoctoral fellowship at UCSF, I moved to Canada to join McGill University, where I am now a professor and the Director of Global Health. Even as a doctoral student, I went back to India frequently to do my thesis research on tuberculosis (TB). Given India’s enormous burden of TB, this was a no-brainer. Since then, I have continued my TB research in India, visiting India as frequently as three to four times every year. I also teach in India, supervise Indian trainees, send Canadian students to India, support partnerships, and advise the government. This engagement has added value and purpose to my academic life. When I meet others like me, I like to compare notes. While some have had great experiences, others have confided that they would love to give back, but don’t quite know where to begin. A few colleagues were sad that nobody from India had invited them to contribute. Others asked me whether India needs their expertise at all. The last question, I think, is the easiest to answer. While India has undoubtedly made tremendous progress, the country faces huge challenges. India ranks 127th among 188 countries, on progress towards health-related SDGs. The prevalence of under-weight children in India is among the highest in the world. TB kills nearly half a million Indians each year. At the same time, India has over 60 million people estimated to have diabetes. India has more people living in rural areas without access to clean water than any other country. Nearly half of India’s rural population lacks access to toilets, and 240 million people live without electricity. India also underperforms in medical research. The easiest way to begin, in my experience, is by giving lectures in institutes and conferences, whenever we visit India. This platform is great for sharing our knowledge, inspiring students, and helping establish connections with scientists and institutions. We could also remotely mentor Indian students. I have materials that I frequently share, on how to apply for fellowships, how to publish, and how to teach. Another way to contribute is to blog and write op-eds in Indian media, about topics that we care about and have expertise in. 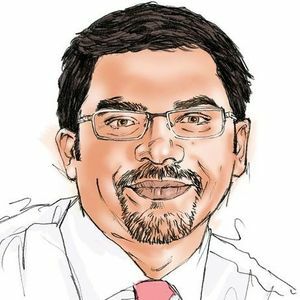 I mostly write about the TB problem in India, and make time for Indian journalists. It is helpful to go beyond pointing out the problems and offer constructive solutions on what can be done. I also serve on the editorial boards of some Indian journals - this is not a lot of work, but gives us a chance to shape scientific publishing, editorial policies, and publication ethics. A natural follow-up to giving lectures is organizing short courses and workshops in India, where we can help build capacity (image below). They are more work than lectures and require more days on the ground, but greatly appreciated by all. Courses and workshops also show our commitment to build local capacity. For those interested in teaching, the next step is to become a visiting faculty member at Indian universities. In my experience, this allows us to build stronger relationships, find research collaborators, and help build capacity which may be lacking. India now has special programs to attract overseas Indians as visiting faculty. For researchers, collaborating with Indian researchers, doing research projects in the country, and writing grants with Indian partners is another impactful way of giving back. We have shared grant funds with several Indian institutions and these have helped train students, hire staff, purchase equipment, and produce a number of scientific publications (often with Indian collaborators as first or senior authors). We can also identify talented students from India, and bring them to our universities for training. We have supported several Indian colleagues to visit McGill for short-term summer courses. I have also supported students with MSc and PhD degree programs. This requires financial investment, but is totally worth the effort. All the researchers who did their graduate or doctoral training are now back in India, doing meaningful research at their institutions. Hopefully, they will pay it forward. In my current leadership role, I have helped fund and build partnerships with Indian universities. 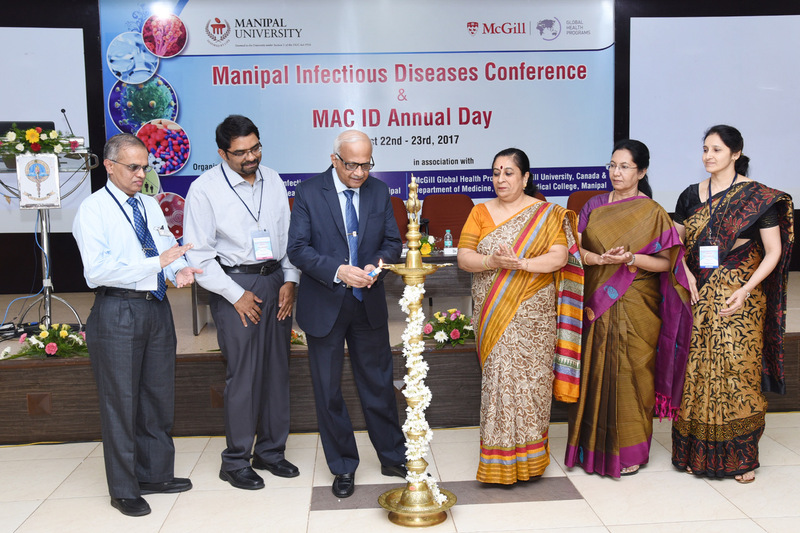 One example is the Manipal McGill Centre for Infectious Diseases, to enhance research collaborations, student and faculty exchanges between our universities (image below). Eventually, as we gain credibility and trust, there will be opportunities to contribute to policy making, and a chance to serve on advisory groups. 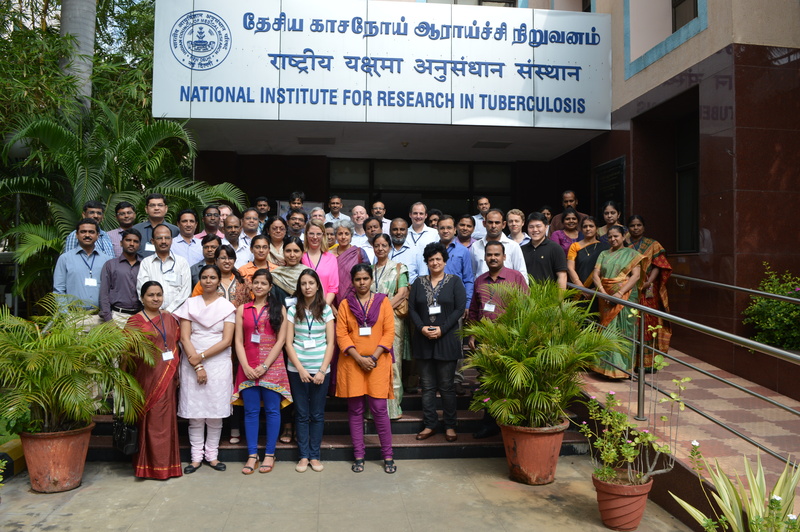 For example, I serve on the International Scientific Advisory Group of the India TB Research Consortium. Another way to contribute is to serve as a bridge between our new and home countries. We can cultivate partnerships, help link governmental and academic leaders, support educational and trade initiatives, and enhance bi-directional exchanges and funding programs between the two countries we care about. Philanthropy, of course, is another route. We can help establish prizes, awards, orations, or help build centres, hospitals, and the like. Here, I have had mixed experiences. While it is easy to send dollars, not every recipient is good with the stewardship, and accountability is an issue. Resources like Doing Good Better can be helpful to getting the most impact from philanthropy. Lastly, we can always choose to return to India and help create or lead new institutions, laboratories, NGOs, or programs. India now offers special re-entry fellowships and chairs, and thousands have already taken this route. Relocating is hard, since it has implications for our spouses and children, but I know colleagues who have successfully done this. An alternative is to relocate for shorter periods (e.g. a few years) before coming back to western countries. An Overseas Citizen of India (OCI) status can facilitate this. One feedback I got on my Devex piece was that I did not highlight any of the challenges faced by immigrant scientists when they try to give back. Undoubtedly, there are challenges - politics, bureaucracy, time delays, and tricky relationships. But this is true everywhere. In my opinion, persistence is key. If we give up at the first hurdle, then I see no easy path forward. Also, patience is essential - it can take years to build credibility and influence. The trick is to start small, stick with it, and slowly build up a long-standing engagement. In conclusion, immigrant scientists can serve as dual citizen-scientists and find a dozen ways to give back. In doing so, they enrich their new and home countries. This is a win-win! Thanks for sharing here, really interesting and a useful perspective for those working overseas from their homeland. Thanks a lot, Andrew! Glad to get your feedback.